Posted byevelynscrackers	 April 8, 2010 July 5, 2011 Leave a comment on >How Far Will You Go for a Fresh Egg? 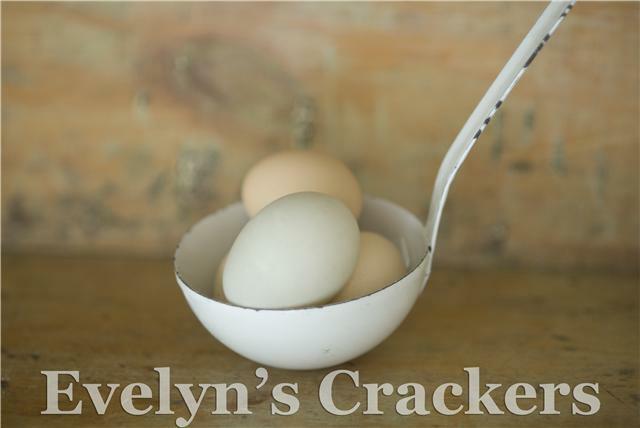 If I had a buck for everytime Dawn is mentioned in an article..
“Dawn Woodward, owner of Evelyn’s Crackers, an artisan baked-goods company in Toronto, will show up at the market at seven in the morning for farm-fresh eggs or drive an hour out of town to find them. When she’s leaving the city, she phones ahead to place an order with one of the hundreds of small farms in the country that sell pastured eggs. …I could buy a dozen eggs.